Two fine walks on the southerly extreme of the harshly beautiful Maleas Penninsula. The final southerly shout of the Maleas Peninsula is a rough, harsh, craggy place, towering above a restless sea, the bane of the millennia of seamen. And excellent walking. 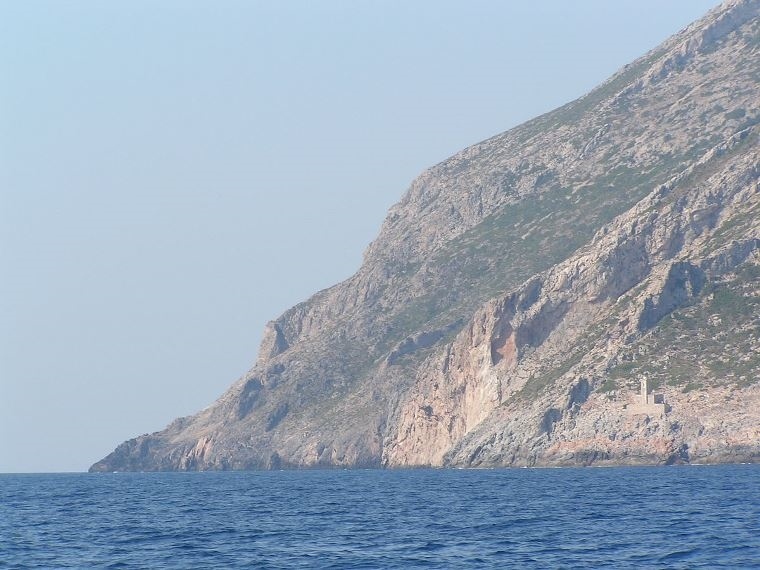 The cape is an empty place, too harsh for even the ultra-hardy Maniots, but you will walk to a little cape-end monastery. To the Cape (South coast): This 11km/ 4.5hr walk winds on a track then a path from Ayia Marina chapel (or the end of the track if you want a shorter walk) across fine, steep, scruffy hillsides and cliffs, high above the sea, past some weird rock formations, a former pirates' cove. The St. Irene Monastery near the cape is now empty, but still a lovely, peaceful, inspiring place. (You can stay here by arrangement, something Walkopedia would leap at!) 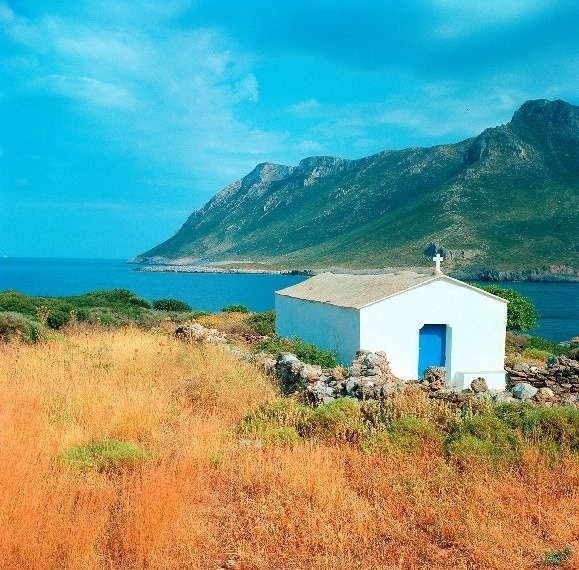 A mere 15 minutes on is the crumbling Agios Georgios chapel, with the ruins of an old tower and church, right on the cape. Retrace your steps. A marvellous walk. This page's rating is for this walk. To the lighthouse (North coast): This 16.5km/ 6.5hr round trip leads from the village of Velanidia on the former lighthouse keeper's path to the now unmanned lighthouse down the northern side of the cape. A fine walk but perhaps not as thrilling as the walk to the cape. For more information and photos, including detailed practical information and some warnings, see our Taygetus range and the Mani walk page.